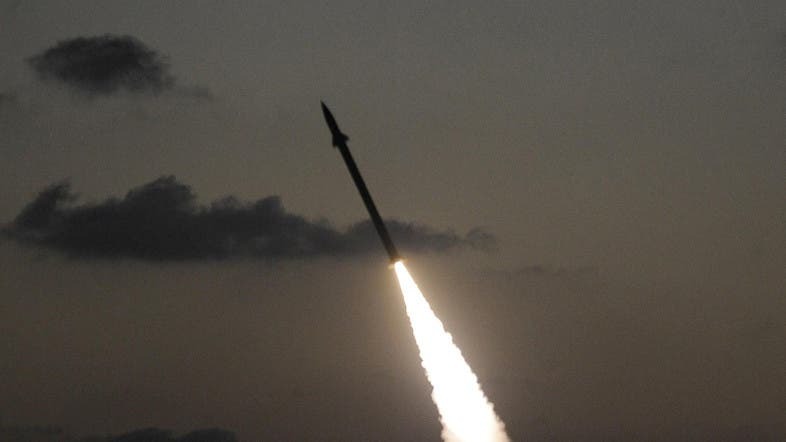 Egyptian security thwarted on Sunday an attempt to launch two rockets from Sinai at Israel, an Al Arabiya correspondent reported, as the Jewish state came under rocket fire from both its northern neighbors Syria and Lebanon. The security operation in Sinai came shortly after at least one rocket was fired from Syria at the Israeli occupied Golan Heights in the north. An Israeli army spokesperson told Agence France Presse that the rocket fell into the Israeli occupied Golan Heights and that there were no injuries. “The assumption is that it was not a stray,” she said, although there was no immediate report of Israeli retaliation. It was not immediately clear where exactly the projectile came from, Al Arabiya’s Jassim Mohsen said, but the Israel army soon retaliated for the attack. Rockets were also fired at Israel from Lebanon, drawing an Israeli response. The rockets were fired at Israel from southern Lebanon on Monday, drawing retaliatory artillery fire from Israeli forces, Lebanese security officials and the Israeli army said, according to Reuters news agency, in the third such rocket attack from Lebanon since Friday. An Israeli police spokeswoman said there was no immediate word of damage or casualties from the rocket fire. The attacks from Lebanon and Syria have coincided with an Israeli offensive on the Hamas-run Gaza Strip which Palestinian officials say has killed at least 160 people. Israeli navy commandos launched over the weekend a ground operation in the north of the Gaza Strip, Al Arabiya News correspondent reported. Earlier on Sunday, two Gaza rockets were also shot down over the greater Tel Aviv area by the Iron Dome anti-missile system, the Israeli army said. Israel says a ground invasion of Gaza remains an option, and it has already mobilized about 20,000 reservists to do so, but most attacks have so far been from the air, hitting some 1,200 targets in the territory. The cross-border violence shows no signs of abating despite mounting international pressure on both sides to end the violence. The U.N. Security Council called for a cessation of hostilities and Western Foreign Ministers were due to meet on Sunday to discuss the need for a cease-fire.